Northwest Arkansas Business Journal recently named Garver’s Fayetteville Aviation Team Leader Adam White to their Fast 15 list. The list recognizes the best and brightest up-and-comers in the region, regardless of industry. Adam began an internship with Garver in 2006 and came on full-time after finishing his degree at the University of Arkansas. He’s been instrumental in the recent success of the Fayetteville Aviation Team. “Adam exemplifies what we look for in an employee at Garver—he’s knowledgeable, he works hard, he’s got character, and he values the friendships he inevitably develops with his clients and his coworkers,” said Director of Aviation Mike Griffin. 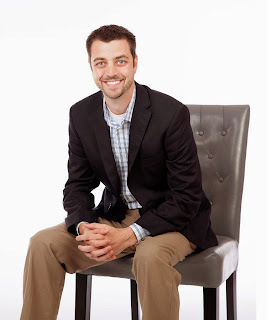 See the Northwest Arkansas Business Journal’s Fast 15 profile of Adam here. If you're an up-and-comer like Adam, Garver would love to give you a place to thrive. See our current career openings at GarverUSA.com/JoinUs.